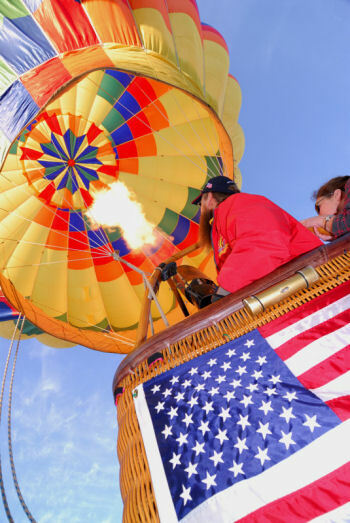 Hot Air Balloon Flights Above Scenic Central New York! View our Slide Show of photos taken during previous flights. We're located just 11.5 miles South of Turning Stone Resort and Casino in the beautiful Stockbridge Valley in Madison County! Madison County was recently ranked 4th in the Northeast as one of the best places to live in rural America and 38th overall in the Country according to a study conducted by On Board LLC! Little compares to the thrill of a balloon flight! It's everything you might have dreamed of as a child, floating effortlessly over the tree tops, skimming just above the corn tassles, or rising up to catch a glimpse of far away horizons! Whether you are 8 or 80, even one month shy of 100 as one of our passengers was, you are almost never too young or too old to enjoy a balloon flight! Call us or email us! Schedule your adventure of a lifetime! 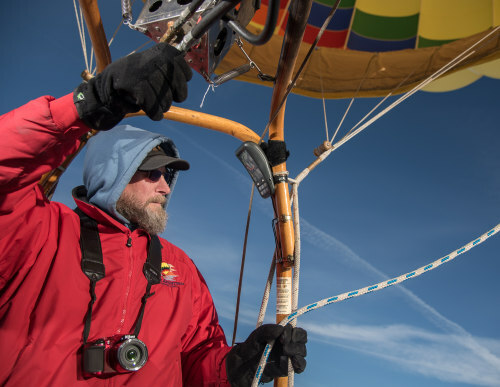 Dwight Cramer is an FAA certified, commercial balloon pilot with a solid passion for ballooning. 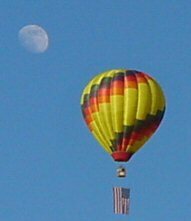 Dwight is a member of the Balloon Federation of America and the Aircraft Owners and Pilots Association. Dwight is adamant about the importance of attending annual safety seminars and adheres to the strictest safety standards, insuring that your flight will be a safe, fun adventure! 2. Saratoga Balloon & BBQ Festival, in Ballston Spa, NY. 3. Jamesville Balloon Fest in Jamesville, NY. Ultimate Sunrise (Private2): $375 per person. Evening (Private2): $325 per person. Souvenirs are available on Site. You may purchase a lapel pin or hat with our logo. We have aerial photographs of homes and businesses in the area for sale. AND, we have fantastic aerial photographs of the magnificent countryside. These photographs will compliment any room in which they are displayed. Call us if you would like to purchase a pin or hat or wish aerial photo taken of your home.